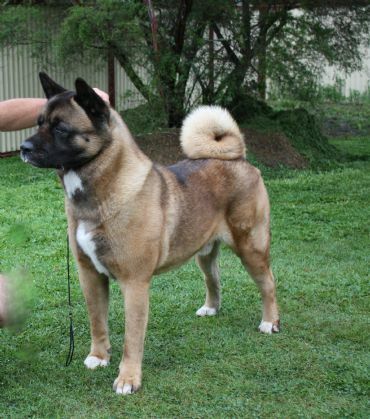 Mason is a beautiful Akita with a divine headpiece correct ear set, striking colour, size and outstanding movement and conformation. He is the love of Craig's life and he very special to us both ! Mason had a fantastic 2007 although lightly shown 21 show days attended. With the tough competition in South East Queensland Show scene. A big thank you to Alan Molan for sending us this special boy and all Alan's ongoing support and friendship. Alan is a dear friend and mentor. A big thank you to the many Judges that have awarded Mason ! 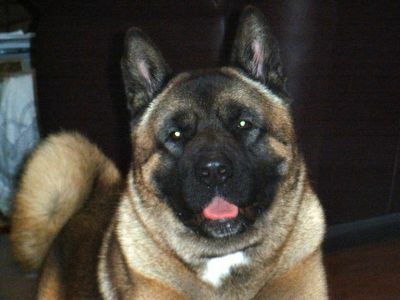 Main photo taken in December 2010 at approaching 6 years young other photos at 2 years 8 months. Mason is now retired from the show ring and is our very spoilt house dog. Mason is also an excellent watch dog ! 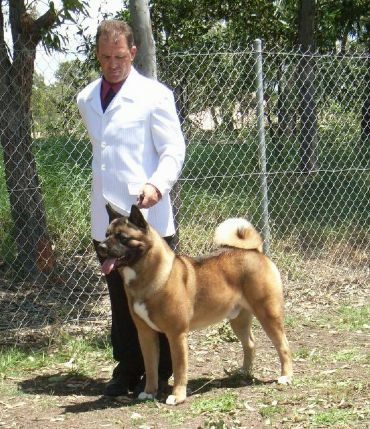 Mason will be used in our future breeding plans here at Kaisho Akita's in 2011 we hope his wonderful assets will be passed on to his progeny.